Vintage Railroad Playing Cards were created with the original artwork and descriptions from vintage advertising insert cards published between 1900 and 1940. Each card shows a different train with a detailed description of its size, weight, speed, purpose, and special features, as well as the railroad routes it travelled. North American trains include the Zephyr, the Green Diamond, the Dominion, and the Capitol Limited. Notable trains that connected other parts of the world include: Central Uruguay Railway, the Dublin-Belfast Express, the Flying Hamburger, the Silver Jubilee, and the Flying Scotsman. 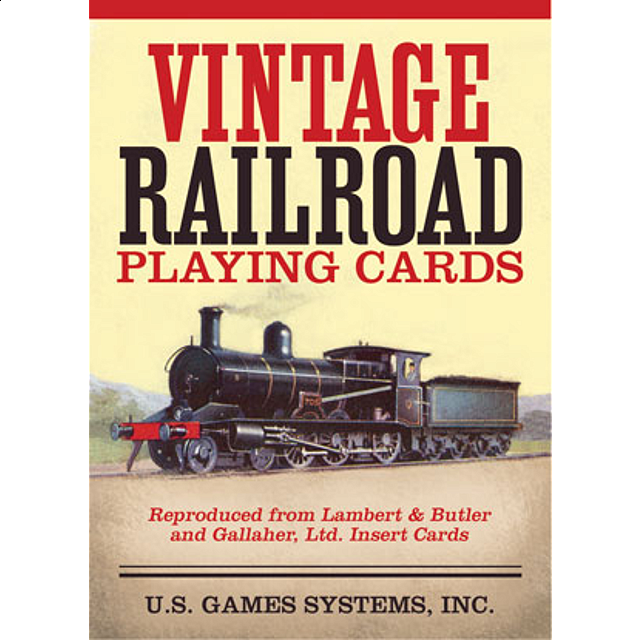 Perfect for train buffs, and playing card collectors, the Vintage Railroad Playing Cards deck includes two jokers and is suitable for most card games.